Pisces Lucky Numbers, Colours & Gems | How to make the most of these! When it comes to Astrology, Pisces is the 12th and final sign of the zodiac, and so carries special significance. These water signs are deeply spiritual, compassionate and empathetic, and their task is to help mankind. 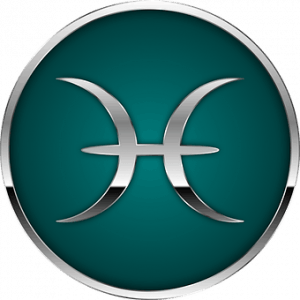 Pisces is ruled by the planet Jupiter, a planet that naturally carries luck and fortune. Hence, these signs don’t need too much help when it comes to lucky numbers, but they will certainly benefit even more than most when using them, increasing their chances of a positive outcome more than the average person. Pisces has two lucky numbers, and they are 7 and 3. Using these numbers in daily life is very beneficial for these water signs, as well as using any numbers that add up to 7 or 3, such as 12 (3), 43 (7) or 21 (3). The numbers 7 & 3 have been chosen especially for the sign of Pisces and are engineered to help them increase their chances of success in all areas of life, including love, their financial situation, career and more. The Pisces can make good use of their lucky numbers by playing them in the daily lotto to increase their chances of winning, by choosing a home with these numbers or simply finding dates that correspond to these numbers when they want to start something new and wish that task to be more successful. Pisces people respond best to the colour of Sea Green or aquamarine, and their corresponding lucky gem is, of course, also Aquamarine. Their chances of luck go up when they wear the colours and gems most specific to their sign.